Learn more about our horse-and-buggy friends tomorrow at the Stuart Public Library. 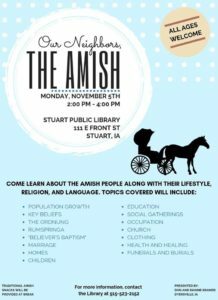 Don and Dianne Kramer of Dyersville will talk about the many different aspects of Our Neighbors, the Amish, and traditional Amish snacks will be served. All ages are welcome to this free event happening from 2-4 p.m. Can’t make this event? 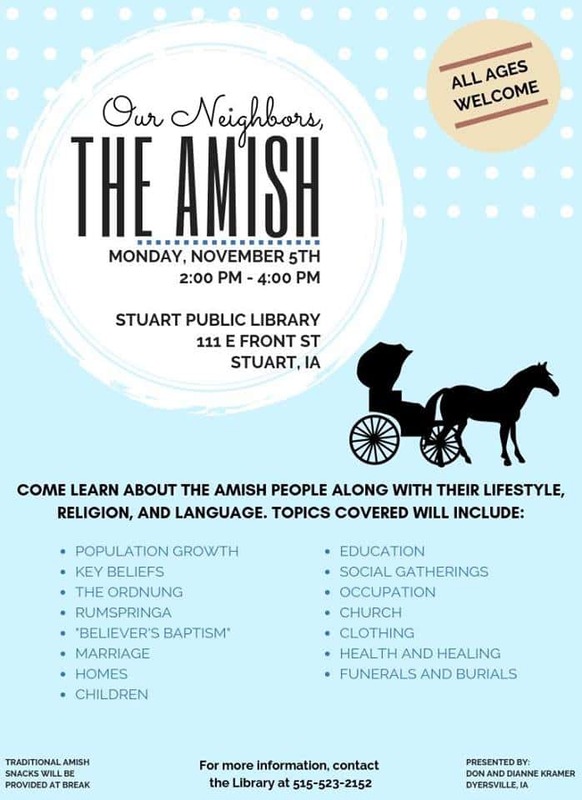 The Casey Public Library will also be hosting a program on Our Neighbors, the Amish from 6-8 p.m. Tuesday.